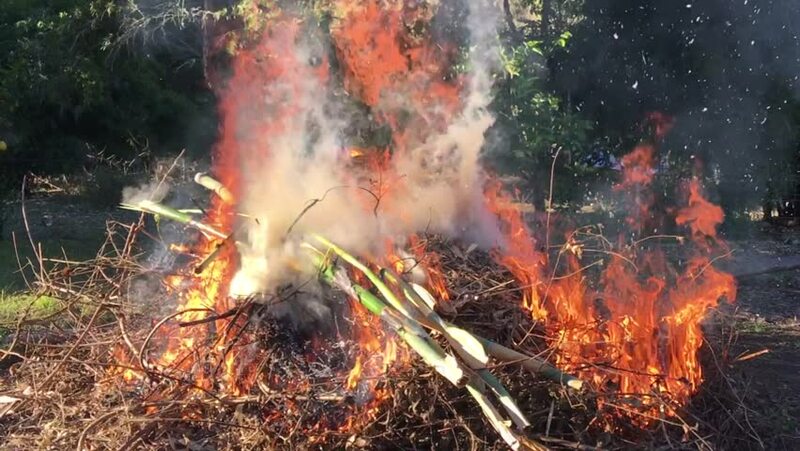 Large pile of wood, leaves, branches, bamboo burning. Red hot fire. hd00:15Burning spruce branches and rising smoke. Cleaning the forest. hd00:08Fire and smoke caused by the burning of dry grass.